Our cleaning service is complete. We will remove all debris and leaves from your pool and surroundings. We also brush clean away all dirt and ensure that your filters are always clean. We use highest-quality chemicals to make your water sparkle. Our treatments not only eliminate germs and algae, but also prevent the buildup of phosphates and metals in the water. Our top-of-the-line water clarifying solution keeps your water clear and pure. We also make sure all equipment is operating properly and safely. Let’s face it, unattended pools tend to grow algae. Although plants are great for the environment, most people don’t enjoy swimming in green water that is filled with algae. At SwimView Pool Service, we have a dedicated team of experts who can clean your water without having to drain the whole pool. Using our Green to Clean service, we can help rehabilitate your pool water into sparkling clean water, and have swimmers in the pool within two days. Algae grows from the algae spores. The spores can come into the pool through contaminated swimsuits or even wind and rain. This is unpreventable, but can be taken care of easily. When the spores come into the pool, they will usually get cleaned up by the filter. However, stagnant water will let the spores sit in the water. As well, low chlorine and unadjusted pH levels can help the algae grow. We begin by removing all debris from the pool. The next step is to configure the right amounts of the chemicals in the pool. If the pool pH and chemicals are in the right quantities, the algae won’t be able to grow. Then, we brush the growing algae off the walls of the pool. The most important step in this process is to shock the pool. We use chemicals that will kill all of the growing algae and bacteria in the pool. 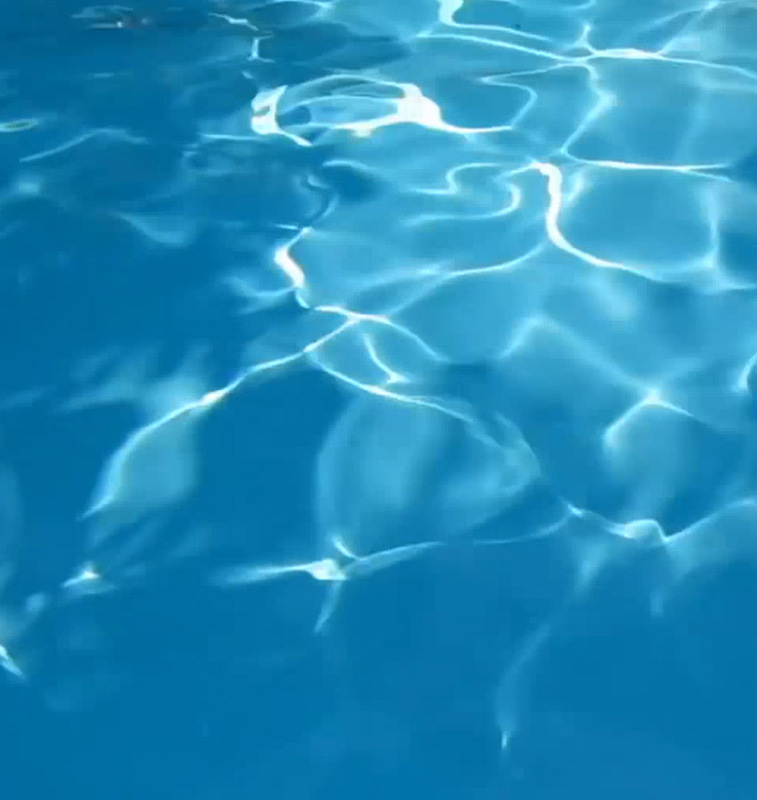 In some cases, a large or very overrun pool will take multiple shocks. We then use an algaecide to prevent any more algae from growing. During our two day process, the filter will be cleaned as needed. This generally happens 2-3 times, or until all the dead algae is removed from the system. Our services are all completed by licensed and insured pool experts who have been fully screened and can be trusted for quality care. We can make sure you are assigned the same professionals again and again for the best continuing care of your pool. Say goodbye to debris, phosphate, algae, bacteria, viruses, and other concerns that affect the look and feel of your pool. SwimView will take care of everything to make your pool the place everyone wants to be.